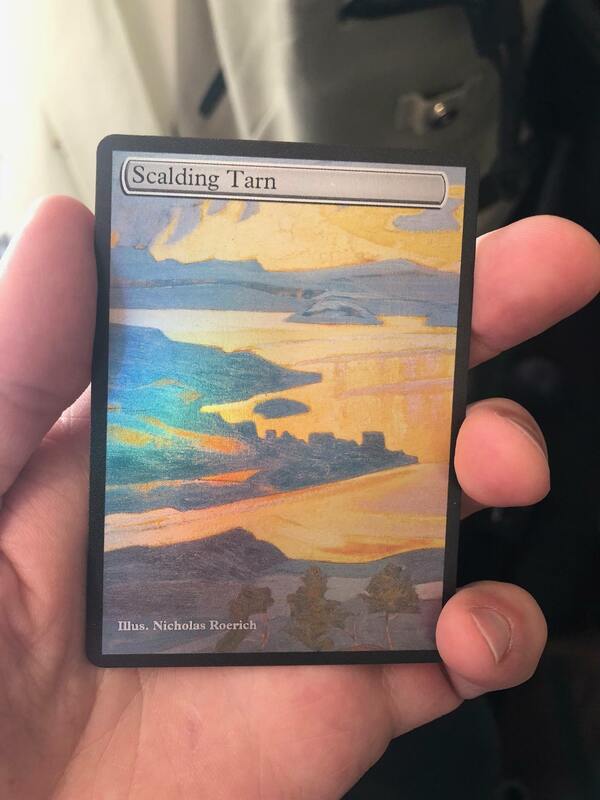 My friends and I were recently talking about how one of the barriers to getting new people into Vintage is that it doesn't feel very epic writing Black Lotus on a Plains. 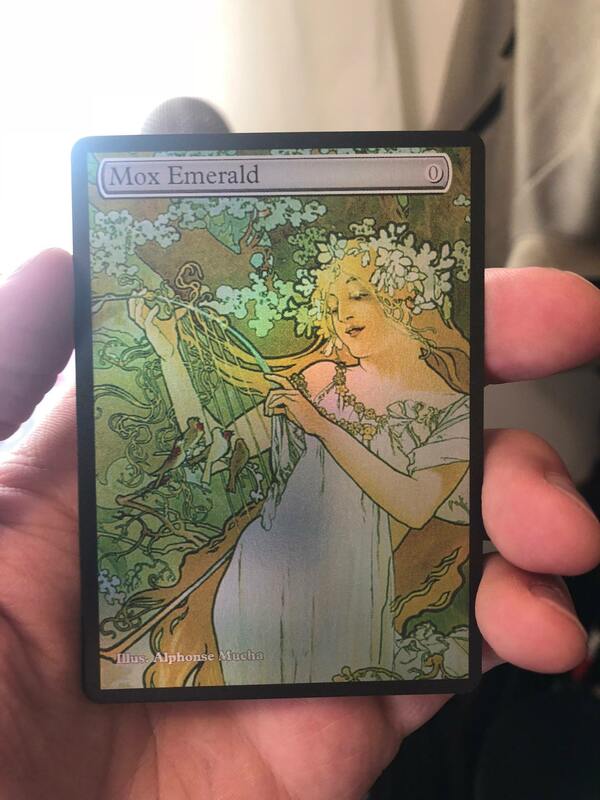 But if people have awesome art proxies, they might be more likely to give vintage a whirl! 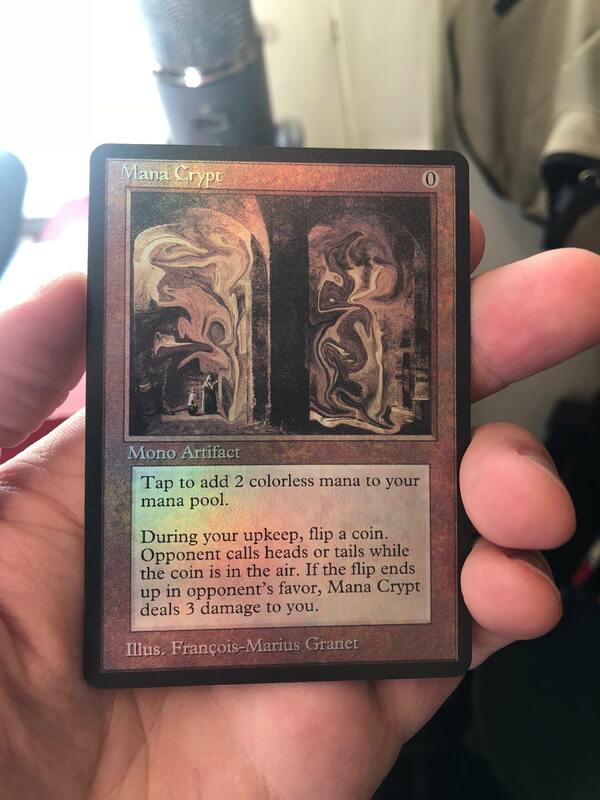 This is also true for those of us who enjoy playing Vintage, but who also may prefer to play with proxies to reduce wear on high dollar cards. 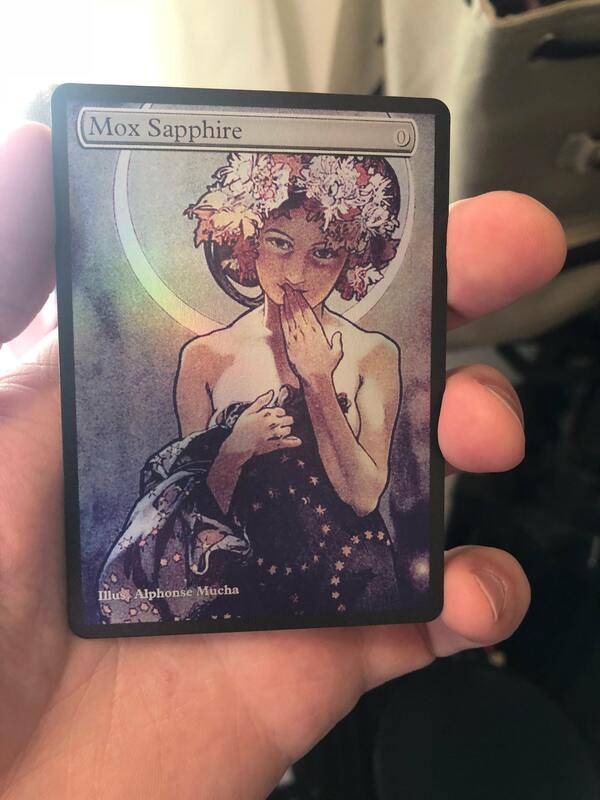 What follows are a set of playtest cards that I recently printed using an online company, after joking around with one of my playgroup about Vintage Masterpieces, made with ACTUAL masterpieces. I'd tried some similar public domain shenanigans before (and posted here in another thread), so I thought, why not! Some time on ye olde google, some time in photoshop and voila! 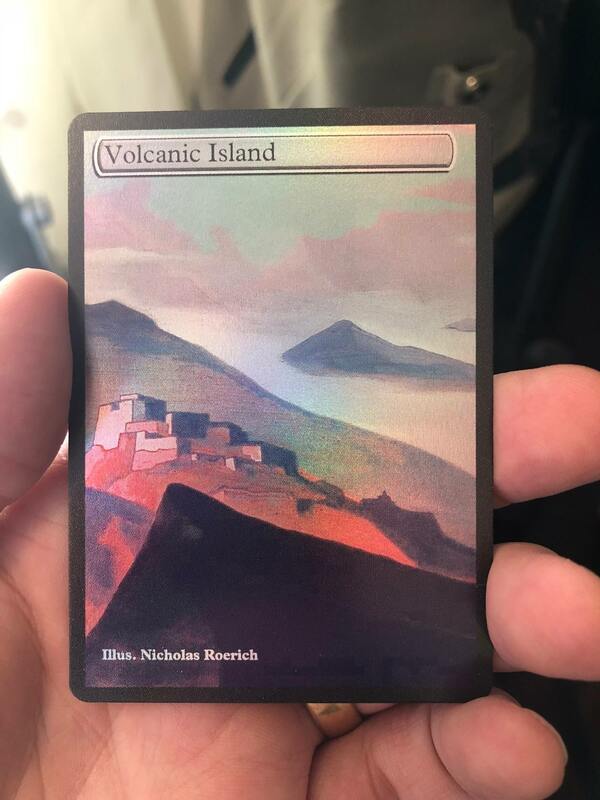 These are printed in foil (Cause hey! Why not! 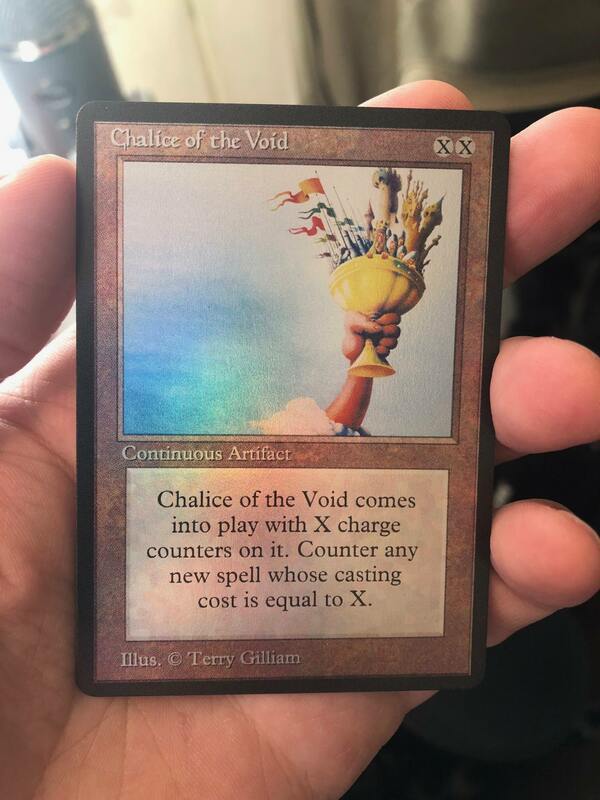 ), and are a mix of "future shifted" title-and-cost-only, full art cards, along with some "past shifted" cards to have some fun with the old card frame and funny rules text, even if (obviously) we use the oracle text for all proxies. Anyway. On to the cards! First. 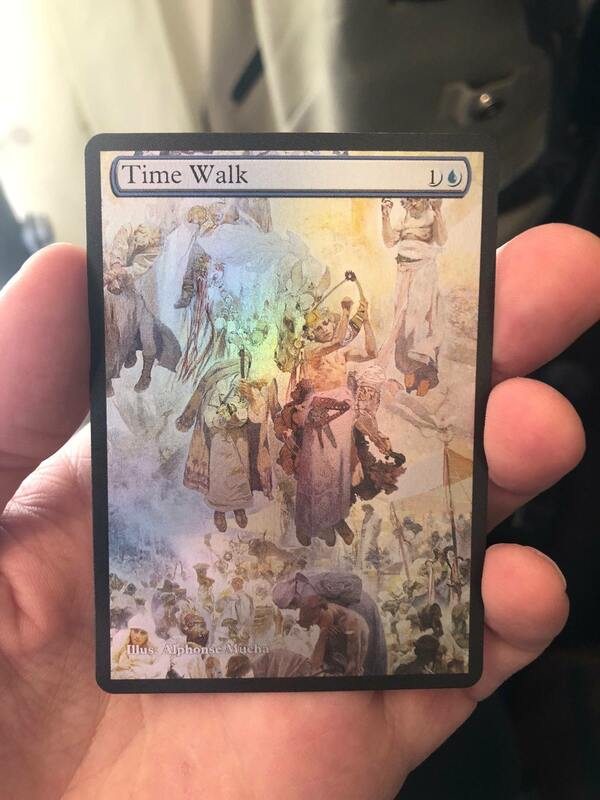 The Power Nine, with a little help from Alphonse Mucha's iconic Art Nouveau images. 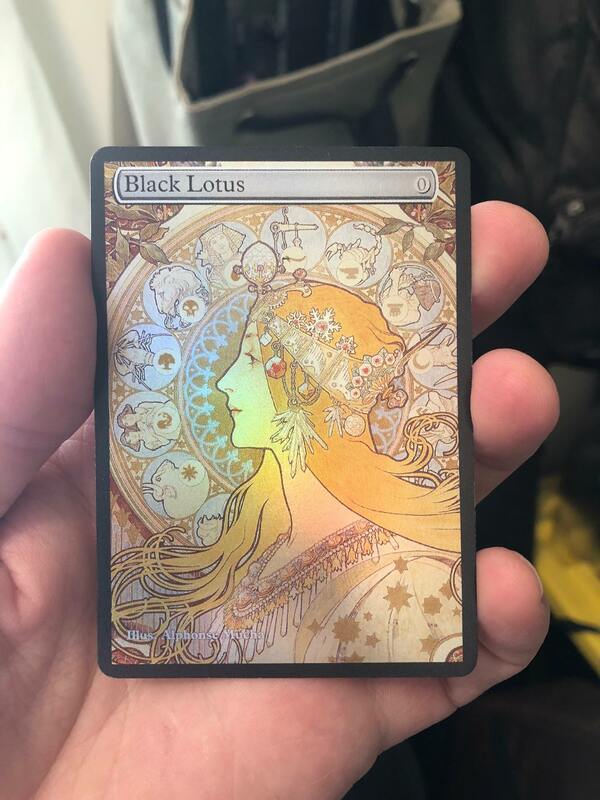 Though I did tweak his masterful Zodiac just a Little bit for a little more mtg flare on Black Lotus. 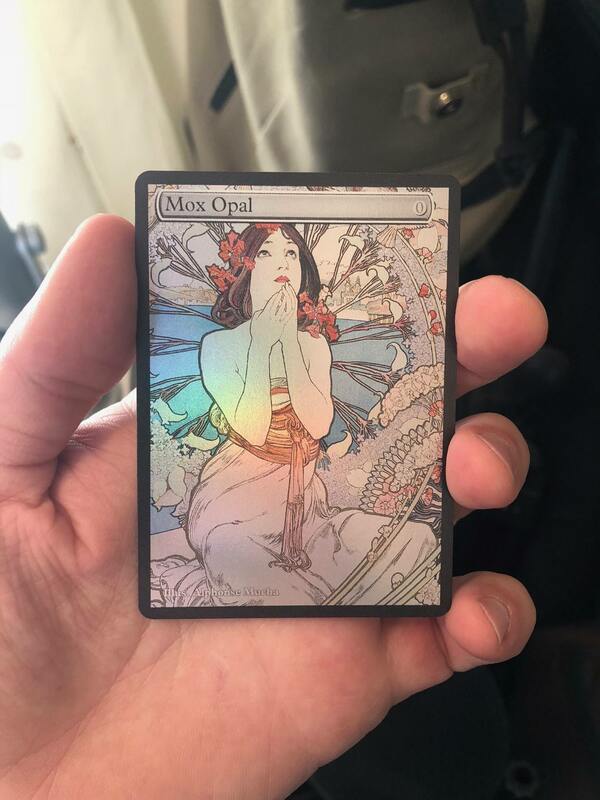 Also, threw in Opal. You know. For kicks. The three blue spells are all from a Massive installation called The Slav Epic. As you'll see, this set of proxies has a very Eastern Euro vibe, which as a Russian speaker makes me quite happy! 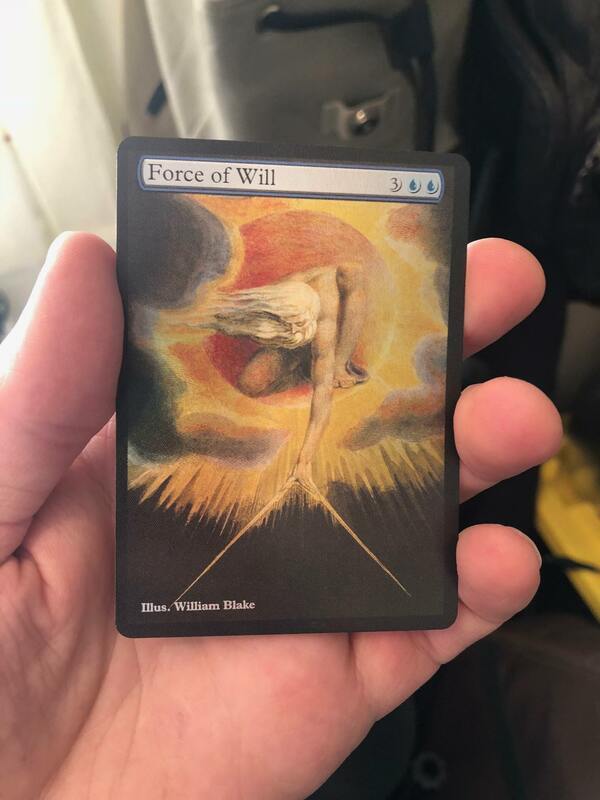 I pulled in several other crucial pieces with the amazing art of William Blake. Good old mysticism. 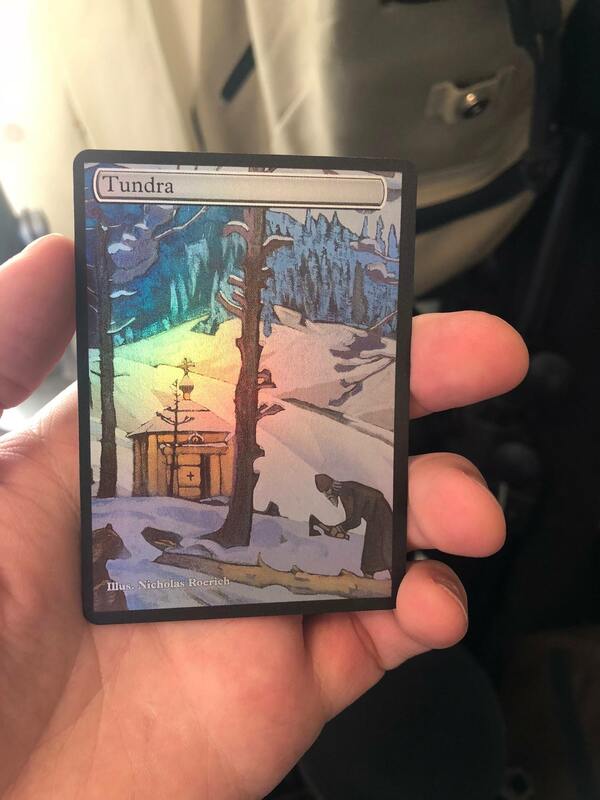 Can't have a vintage set without some duals and fetches. I hemmed and hawed about whether or not to add text, especially to fetches, but the stunning landscapes of Nicholas Roerich, who spent a lot of time in Central Asia, was just too good in most cases and I just enjoyed looking at it. Then, the past shifted cards. 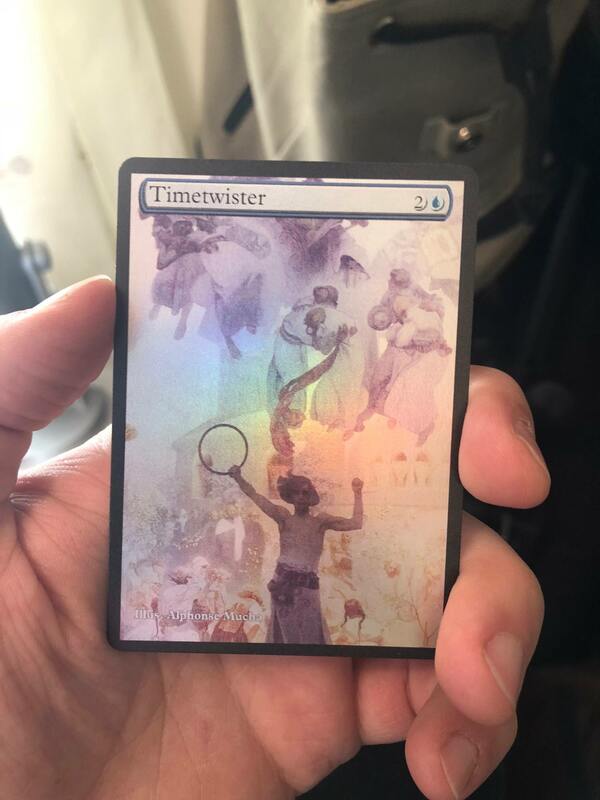 These last are for a particular subset of white border lovers and haters. 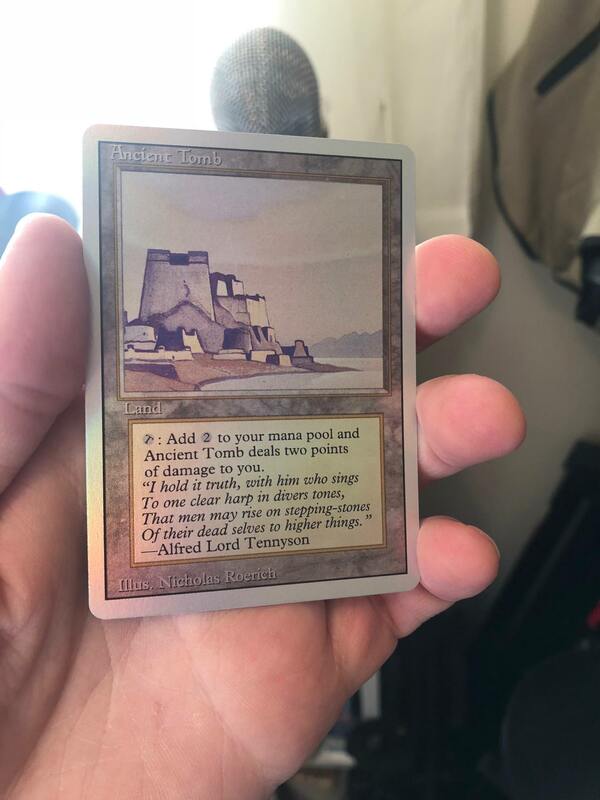 I know for many of us who came of age at the turn of Unlimited to Revised, the white border holds a special place in our hearts. Especially if you were in a small town where you might have opened some Unlimited and Revised, but product support for antiquities and Arabian Nights was not exactly plentiful. 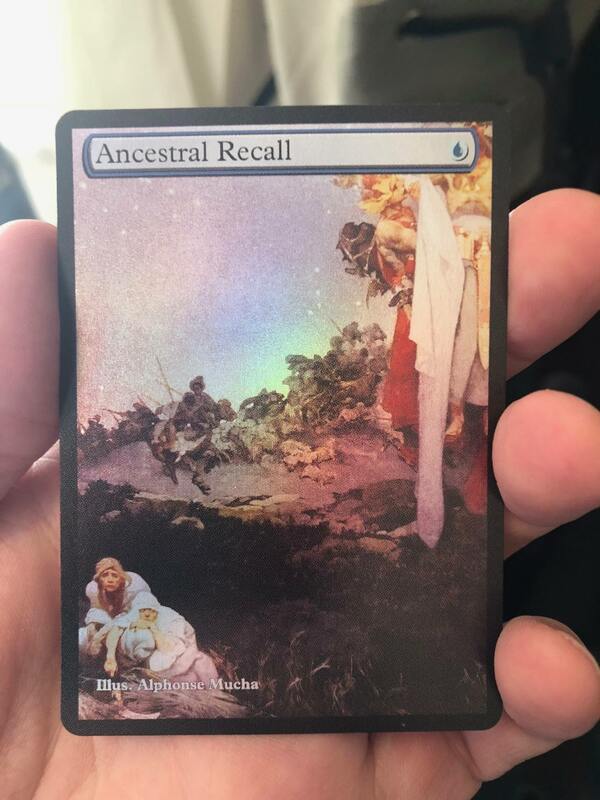 So I liked the idea of printing some of our format staples, imagining what they might have been like coming out of a pack of Revised. 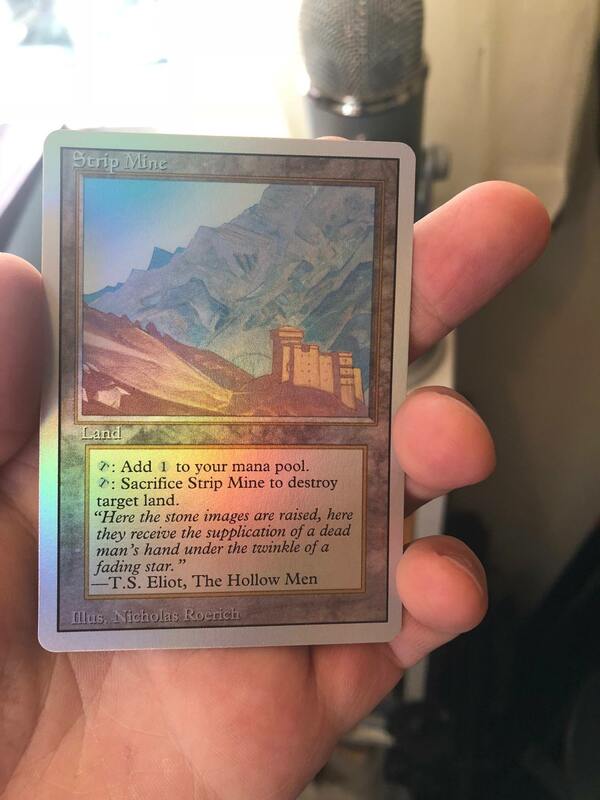 So for all you whippersnappers out there who think White Border is for suckers...well...get off my lawn! I'm not exactly sure if that's a halo or if his staff is glowing, but that skull is amazing! 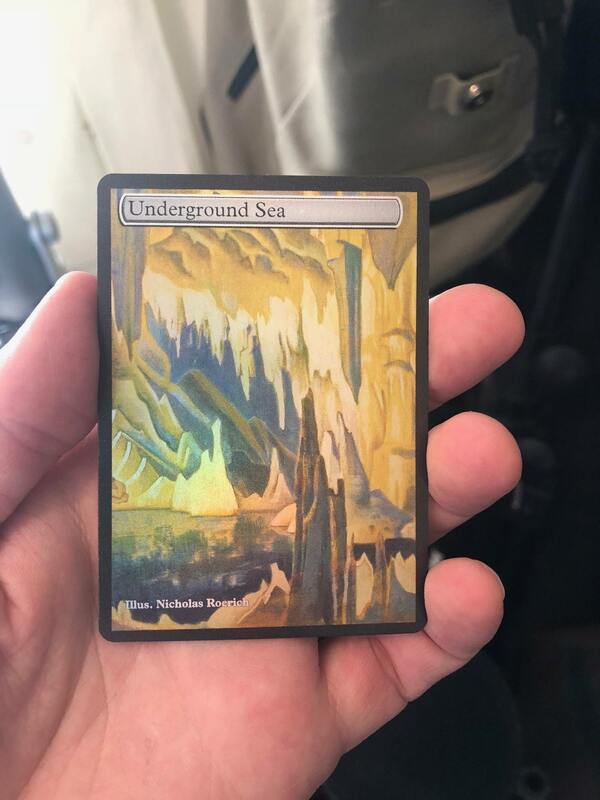 I'm totally a Roerich fanboy now! Anyhow! Hope you all enjoyed these. Do you have scans of these so I can use them in Forge? stunning. gorgeous. I would love to play with or against these. Great work! I especially like the timeshifted ones. Jace is amazing; he looks like a powerful wizard, in a way Tolkien might have imagined. 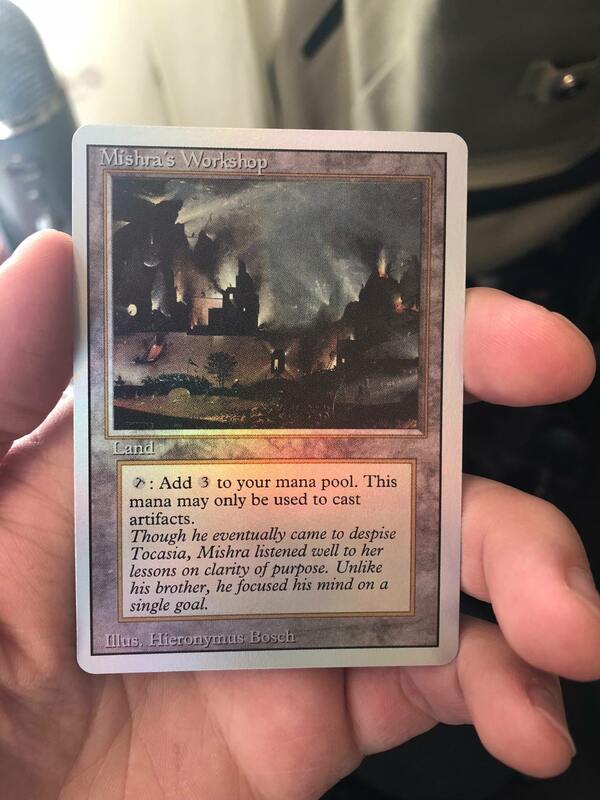 Would you mind going into detail about how these cards were designed, and printed? Provided it would not be against the policies here. Those Revised ones make me so happy. Great work! 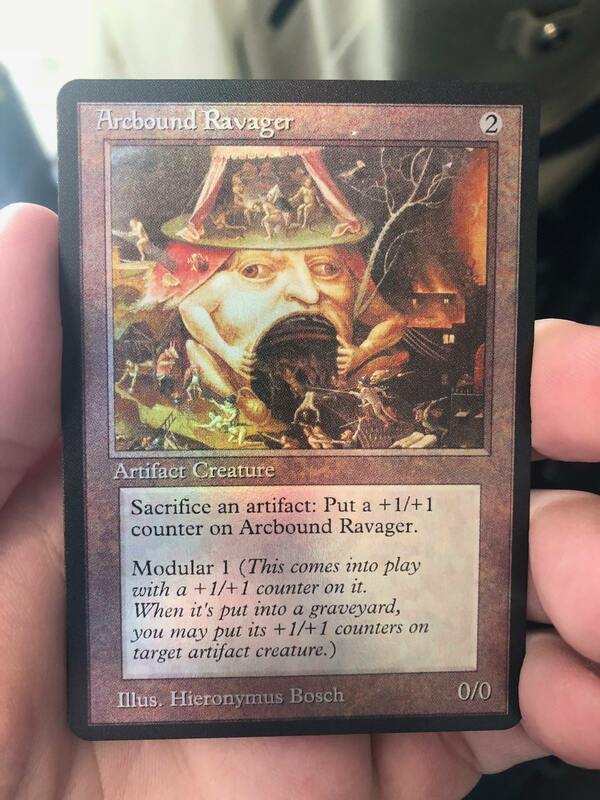 Yeah, the Revised ones are the highlight, though Arcbosch Ravager and the dual/fetches are also amazing. Great work! @John-Cox @fsecco Thanks for the kudos! 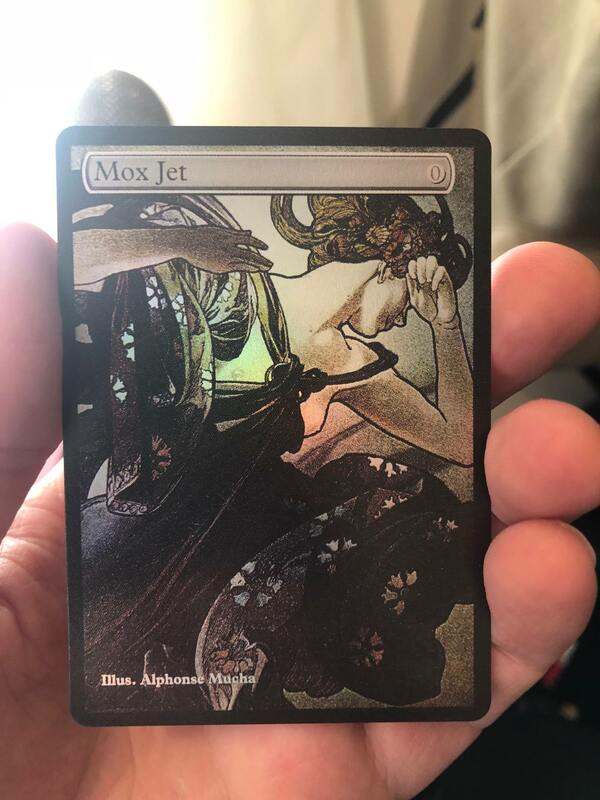 I've really been having fun playing them in sleeves. 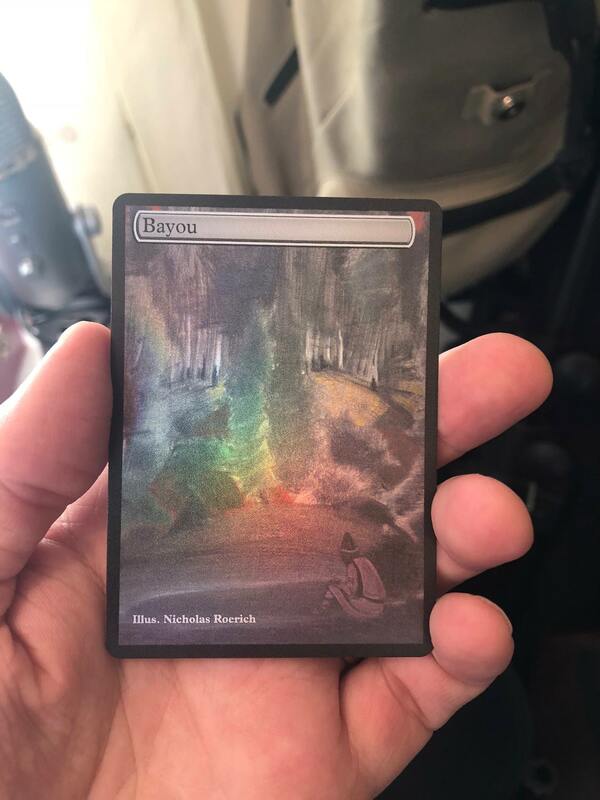 The cut is ever so Slightly different than a normal magic card but the size and thickness sleeved are completely indistinguishable from other cards, and really a delight to draw and play. @Stuart @revengeanceful feel the same way I do about the Revised lands. I have a surprising amount of nostalgia for the old Tap symbol for some reason (I still call the little arrow thing "The New Tap Symbol"), so I thought it was a lot of fun to see them this way. 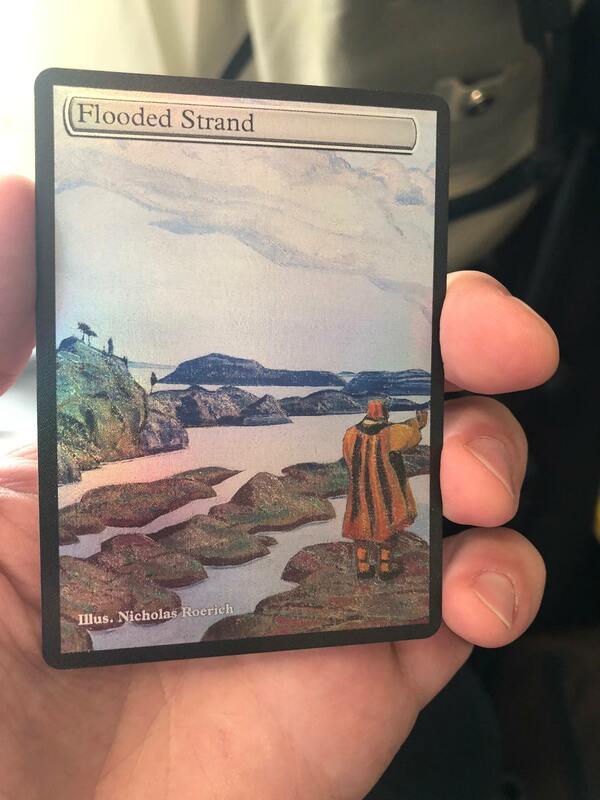 @Nower1990 I posted a mockup of Jace a while back that others here helped me shop to get the silliest version of how a planeswalker might have been printed in Legends. 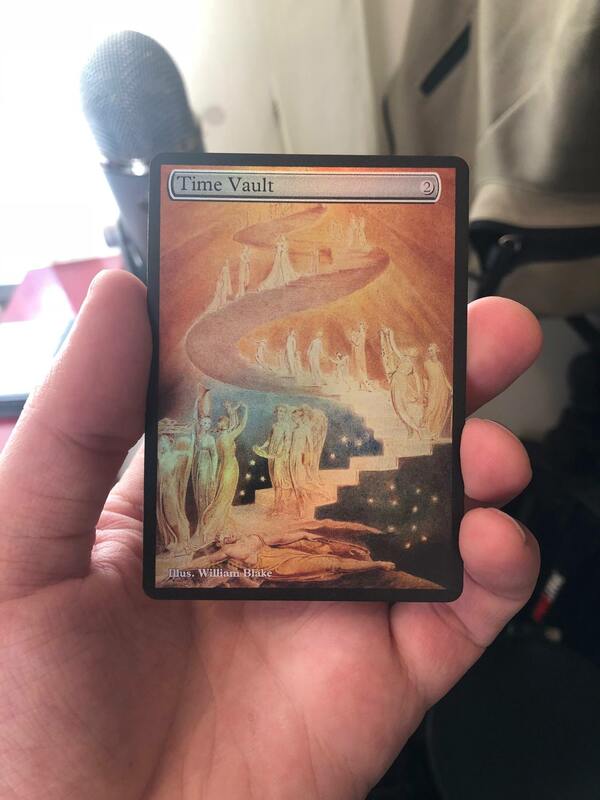 I love the use of nonstandard language like "chips" in the old sets as well, and the old frame and more classic looking art just gives the eye a break from the more modern "kewl" cards and their emphasis on art-directed-to-a-fault continuity for the sake of world-building and story telling. As for how I did it, without going into a lot of boring detail (too late! ), I used Photoshop and a combination of a couple of different available online templates for the card frames. I work a lot in layout and a little googling got me the fonts. 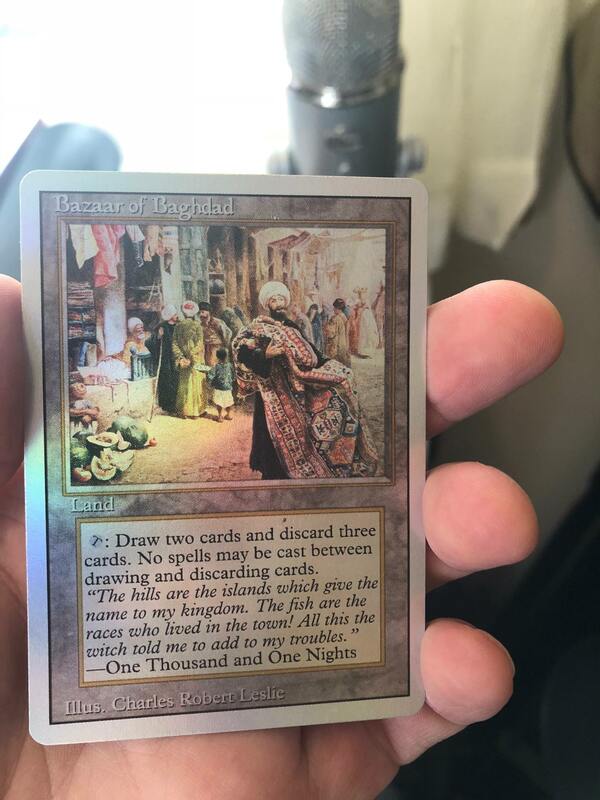 WotC has proprietary fonts but especially for old style cards it's easy to find an almost 1-1 approximation! Then it was doing some research to find art I could use at high enough resolutions, and plugging in each one. Then, to print, I downloaded a template through a website that specializes in printing game cards of all kinds (there are a lot out there to choose from, I just have a couple that I've used for other game design projects in the past). 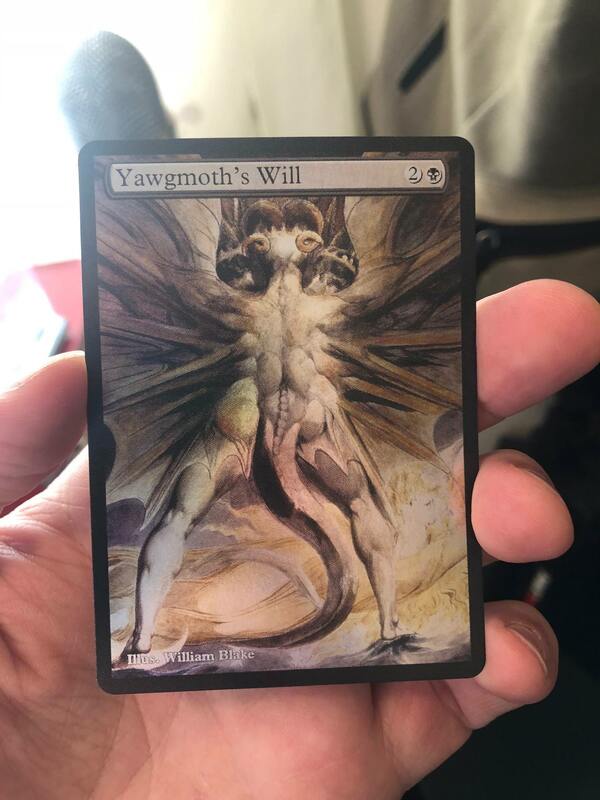 I used the template to ensure the correct size and resolutions and when I printed I selected a foil option for the finish. 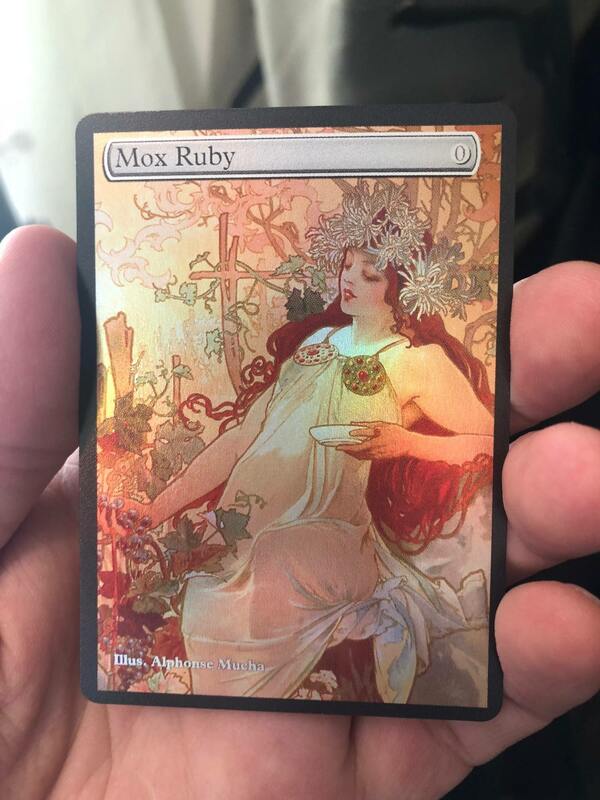 I will say, in bright light, they are gorgeous and as attractive as any other foil card. 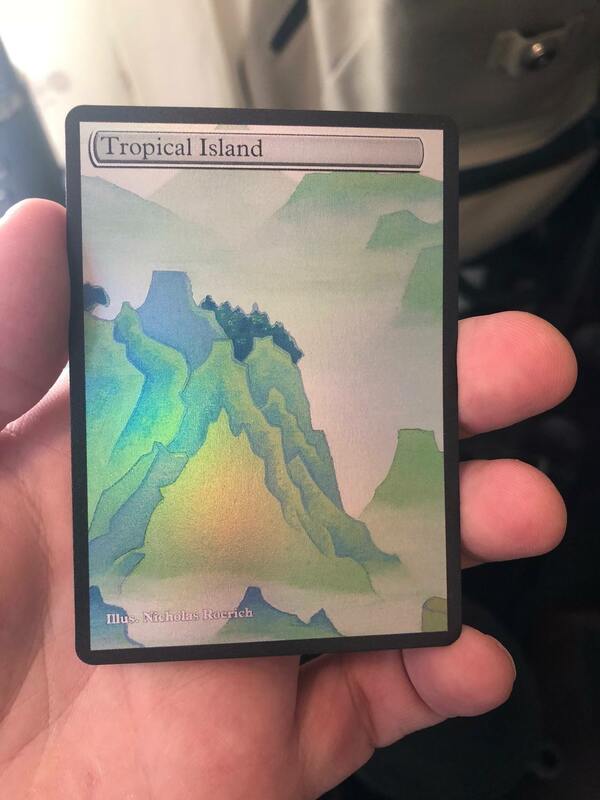 Like all foils, lower light means they are not quite as bright to the eye as a card where white is printed as white and not the foil silver. 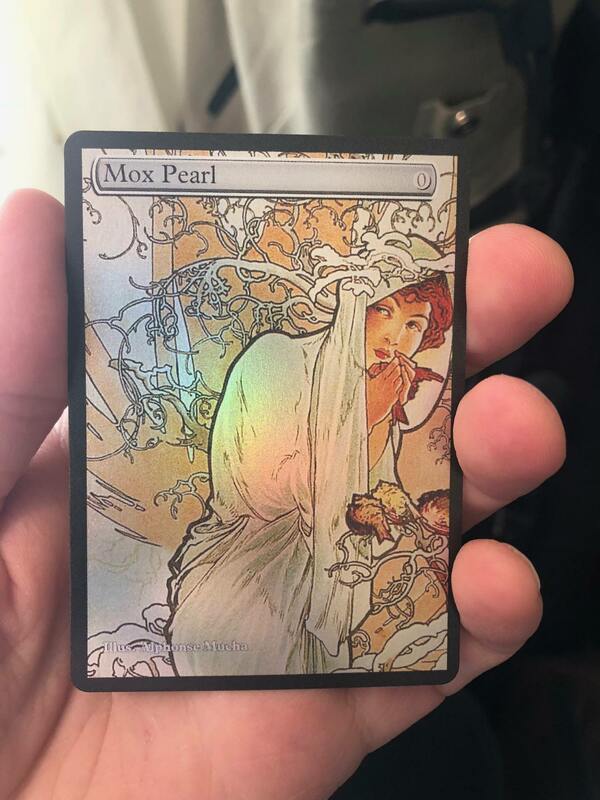 I have thought about trying a run in non-foil to see how the do and adjust, but I've been pretty happy so far. I'm interested in ordering if Brass Man is OK with it. Ordering through a medium other than this site is fine as well. All of those cards look amazing, but I think the wording on some of them (eg Jace) could be made to look more old school. @BandsWithOthers would you be open to suggestions on the wording? 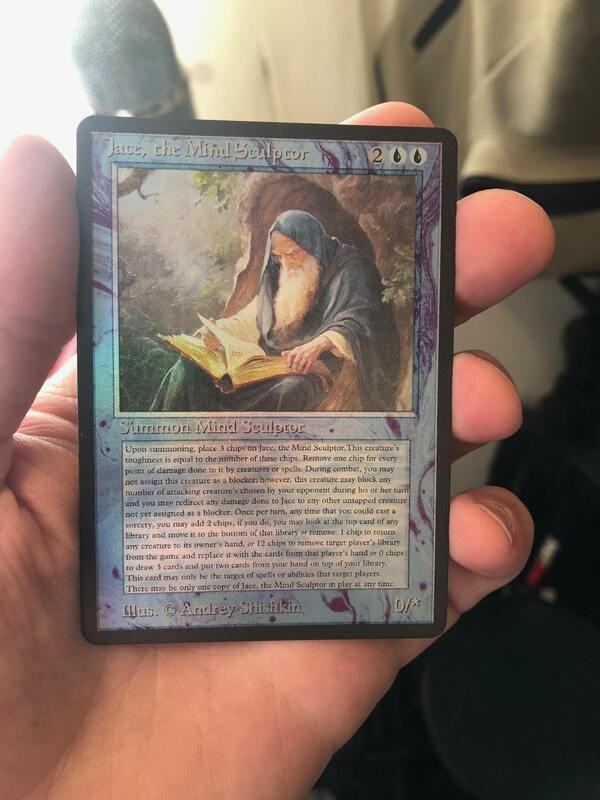 @Thewhitedragon69 @Nower1990 I'm happy to take suggestions but have a complete image file, and the text is rather small already Minor edits might work, but I think we come pretty close with Jace. And again. 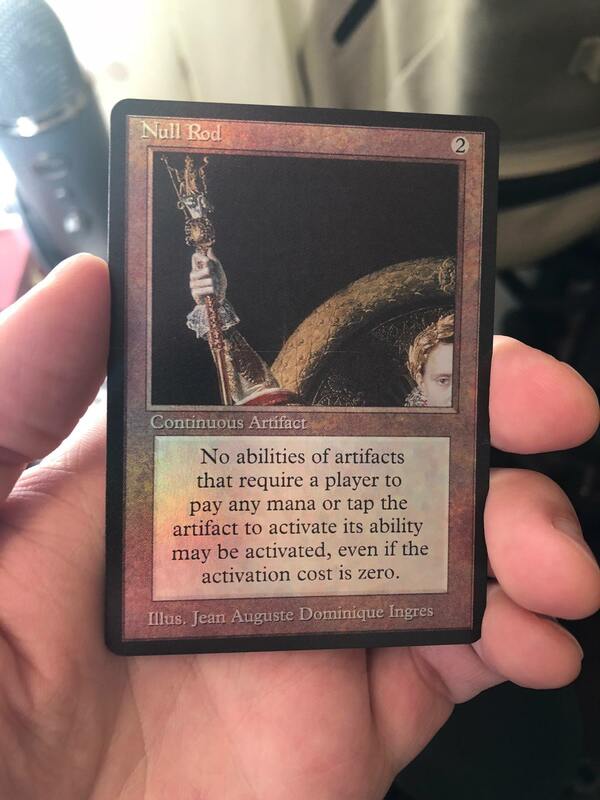 When we play, especially with any playtest/proxies we use the oracle text for all cards and rulings no matter what they say. I think the humor in Jace is just that it's one bazillion tiny words. 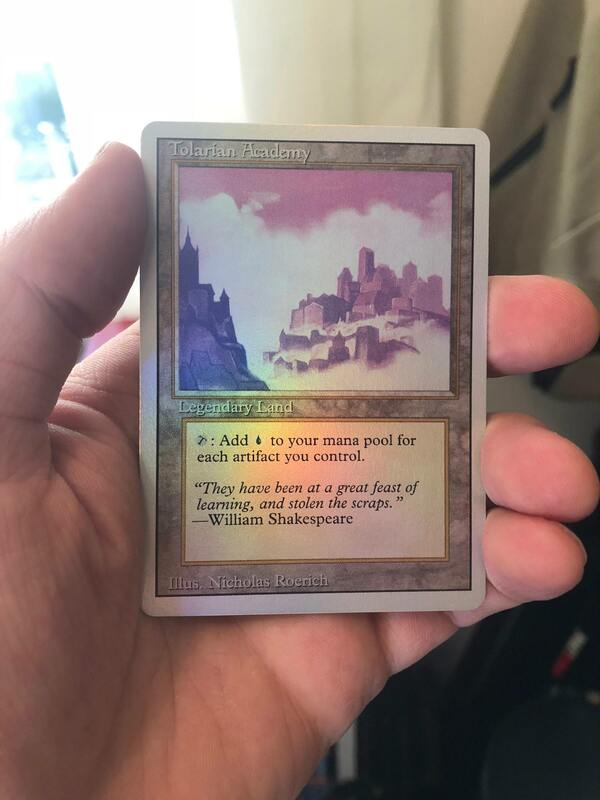 My feeling on what makes cards old school wording wise is the non-standard vocabulary, random pronouns, etc. 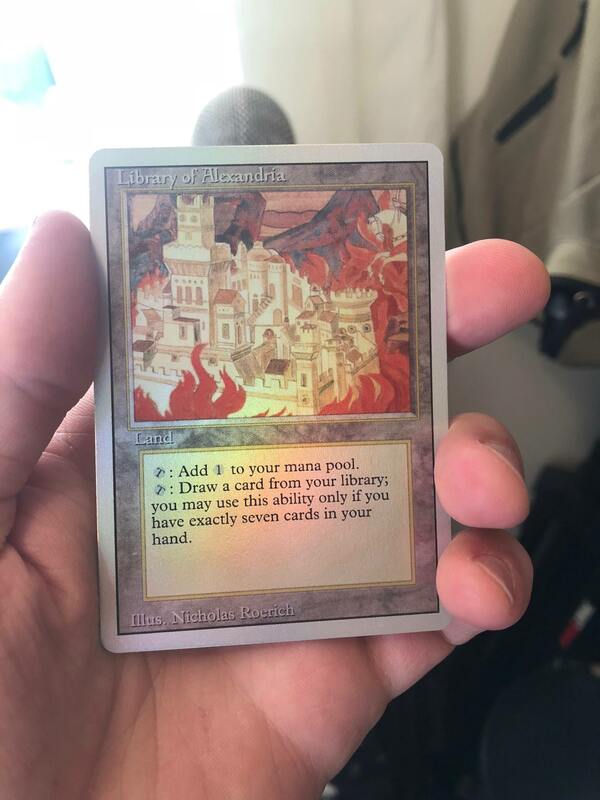 The old cards feel a lot more like the the game designer is more or less talking to you, explaining each card as a unique effect, rather than anticipating that 25 years later the exact same effects would be reprinted, repeated and honed down into the most efficient, clinical effect. So to that I end I think Jace accomplishes the mission. We workshopped him a good bit in the original thread where I posted some of these ideas. Almost made him a wall! 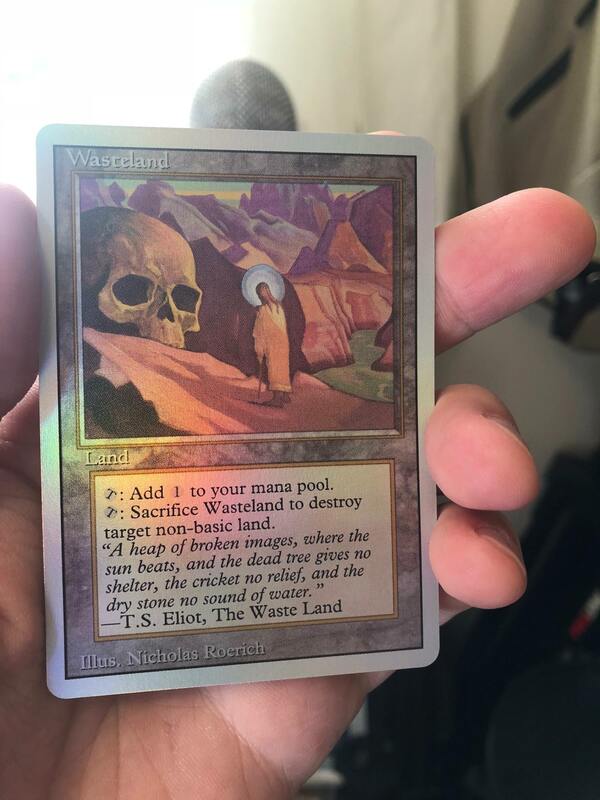 I feel like the only other particularly non-old-school element is that I used the generic mana symbol in the lands, rather than "one colorless mana" spelled out. But I like the way it looked and it seemed a little funky and non-standard, like things would have been at the time. Anyhow, that all said, feedback is welcome! And if people are interested I can try to get a link where you can snag some. @bandswithothers I'm just joking. 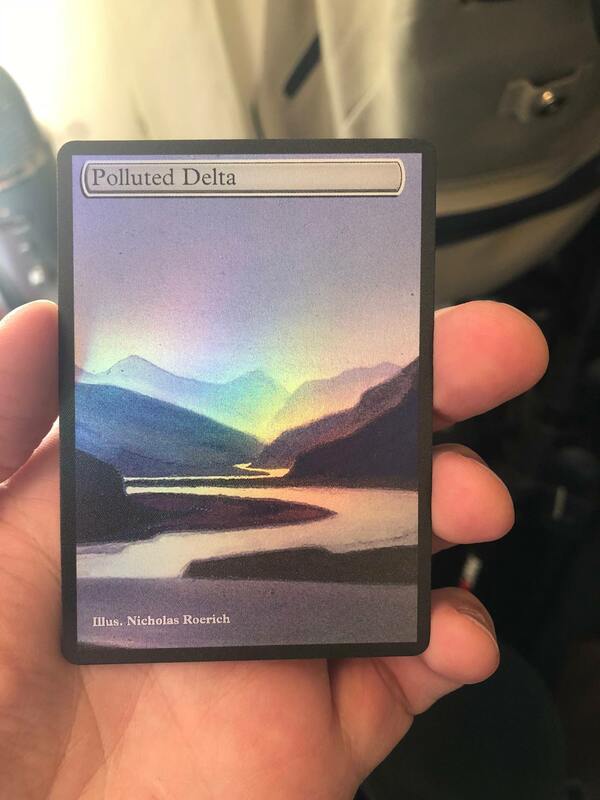 Good alters all the way. @bandswithothers very sweet. I assume all the art is public domain ? Not a lawyer, just wondering. I would be interested in a deck depending on price. @cleverpseudonym With the exception of Chalice of the Voice, yes it's public domain. I just did a run for myself, but I'd probably find another piece of art for chalice if others were interested, so as not to offend whoever currently owns all of the Python stuff. Thanks for the kudos though! It sounds like there might be a few people who are interested so I'll poke desultorily at the "how to make it so other people can buy this" option.